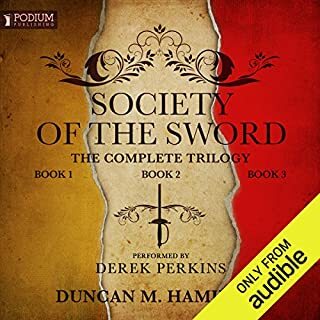 the flow between the three books was well done. even though it was three books, it flowed as though it was only one. After the treachery and slaughter they met during the raid on Glendalough, Thorgrim Night Wolf and his small band of surviving Northmen have returned to Vik-lo, where Thorgrim again sits as lord of the Viking longphort. But the Northmen are a restless lot, and soon they find themselves eager to put to sea. 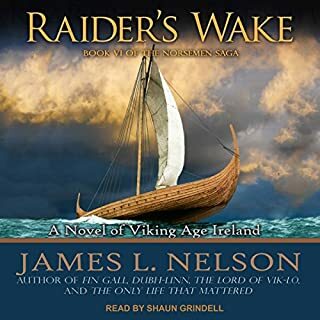 Loading weapons and supplies aboard the four longships under Thorgrim's command, they set out in search of the rich merchant ships that now ply Irish waters. But not all cargoes are the same, nor all merchant captains easy targets for the Norse raiders. a wonderful saga that brings you in and provides an gripping tale of a father and his son. one well experience in the world and one learning to grow. Spring has come to Ireland, where Thorgrim Night Wolf, new-made Lord of Vík-ló, and the 300 Viking warriors under his command have suffered through a brutal winter. Despite having accomplished much during the months of cold and rain, the patience of the men has worn thin, and anger and frustration threaten to tear the ships' crews apart. 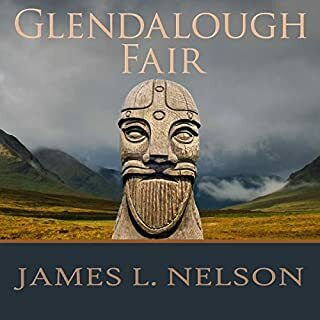 But just as the men are turning on one another, a local Irish lord arrives with a proposal, a plan for Irish and Norse to join together in a raid. This was a great way to keep me entertained during a long flight from the east coast to Alaska.